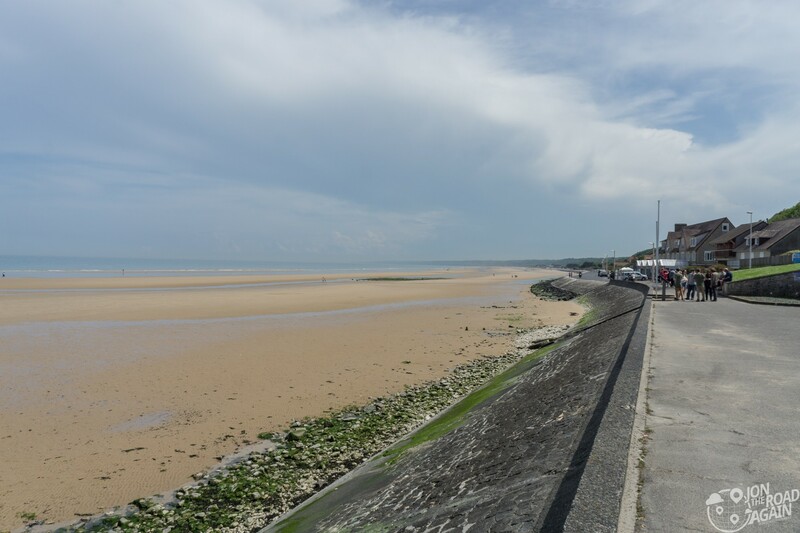 Omaha Beach, in addition to Sword, Juno, Gold and Utah Beaches, was the landing site used during Operation Overlord, the allied invasion of Axis-controlled France. 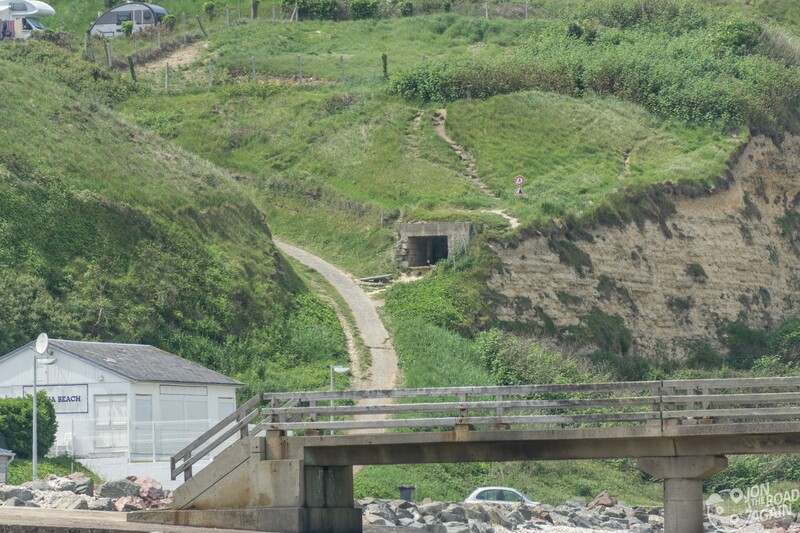 The liberation of Europe began here pitting 100,000 allied soldiers against Hitler’s impenetrable Atlantic Wall. 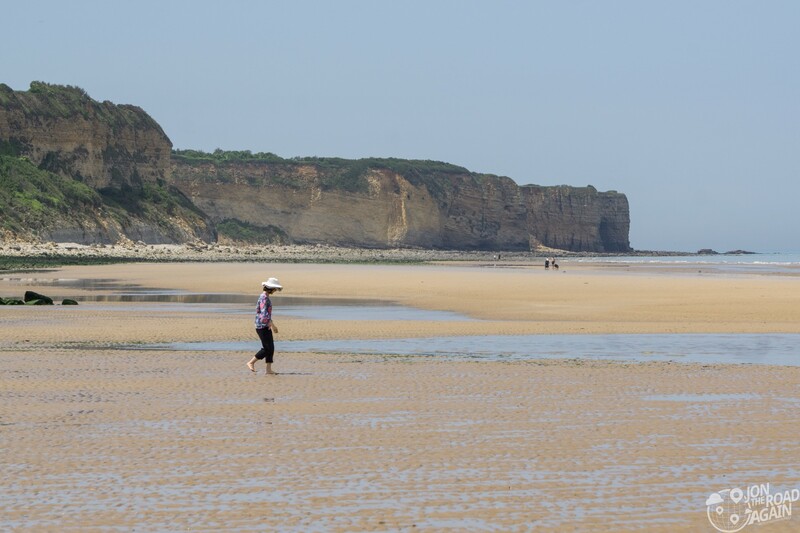 The French coastline here at Omaha has changed quite a bit in the 3/4 century since D-day. 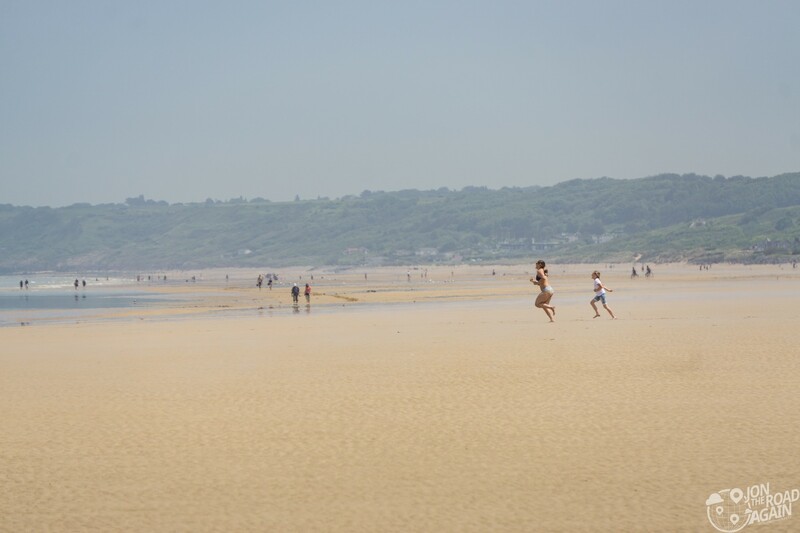 The wide beach serves as a great holiday spot, especially on days like today. My mind is trying to ignore the food stands set up in front of old Nazi pillboxes and instead put myself in the shoes of an 18-year old private tasked with running across this beach at low tide from his landing craft while bullets and heavy artillery rain down from the bluffs above. Things are calm today, but take a moment to see what this beach was like during invasion and once set up as a supply harbor. This was a very busy waterfront, especially once all of the landing sites were linked. 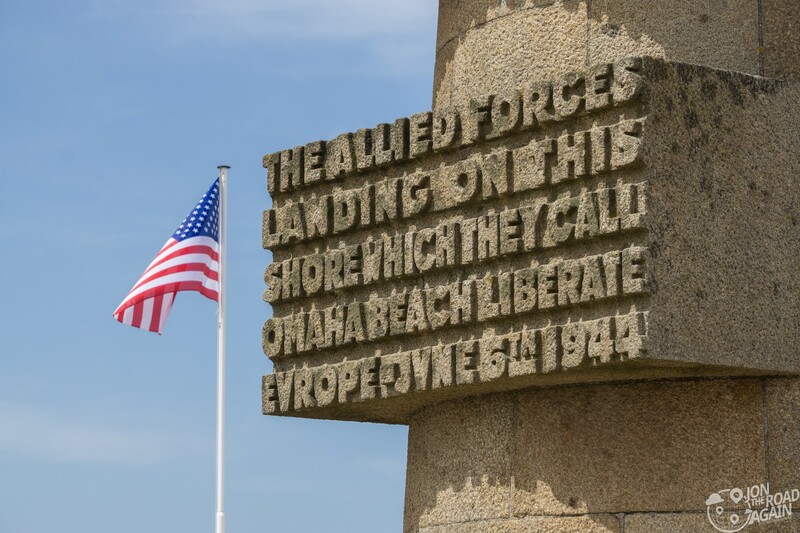 Omaha Beach became a very important cog in the machine to eliminate fascism in Europe. 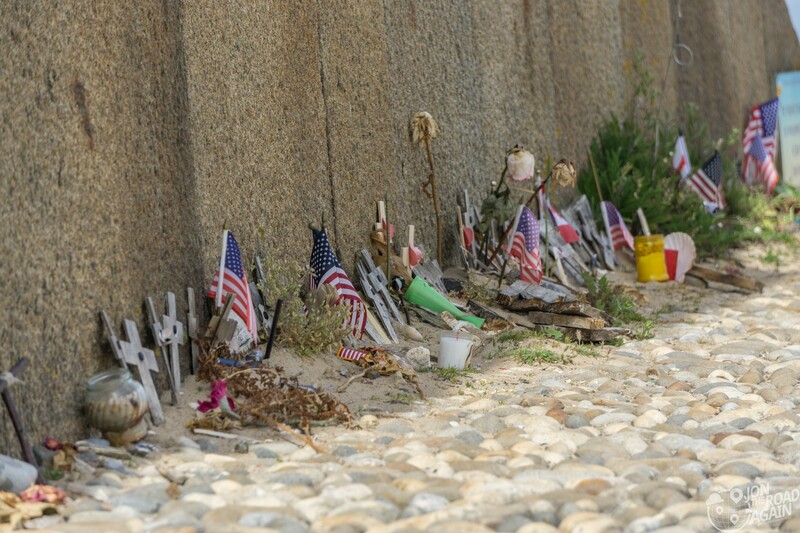 Recreation and remembrance are the purposes of the beach today. Here on the day the United States celebrates Memorial Day, it’s a pretty sleepy Monday afternoon. People are having picnics, lunch, ice cream and walking along the beach like you would at any holiday spot. Being here at the water level really makes you appreciate how those Rangers at Pointe du Hoc managed to scale the massive cliffs. 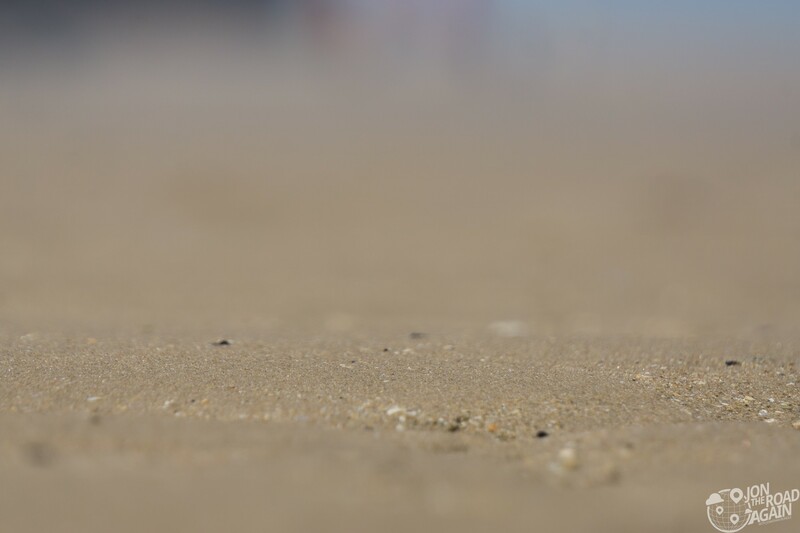 In 1988, particles of shrapnel, as well as glass and iron beads resulting from munitions explosions were found in the sand of the beach, and the study of them estimated that those particles would remain in the sand of the beach for one to two centuries. 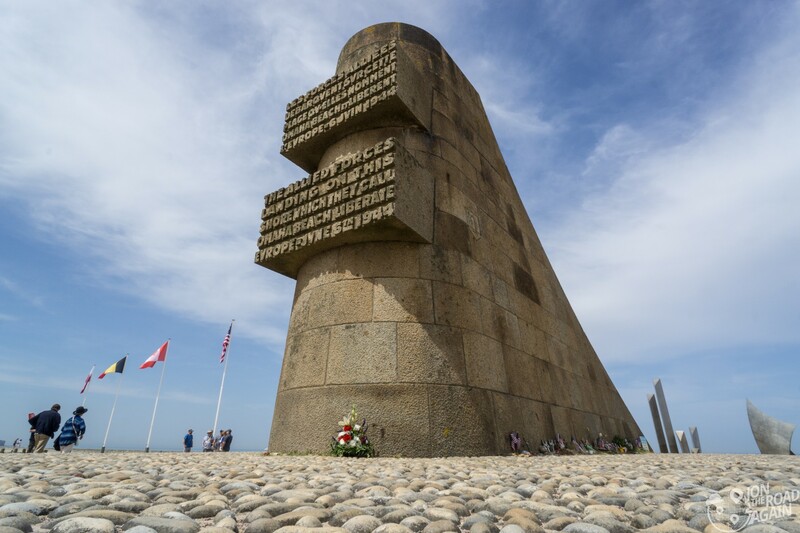 This area of France honors the efforts of the allies to liberate the country through many monuments and museums. Contrast the frozen pose of these bronze soldiers with the runners on the beach today. I like to think there’s no greater way to honor those sacrifices than with free people laughing, playing, relaxing. 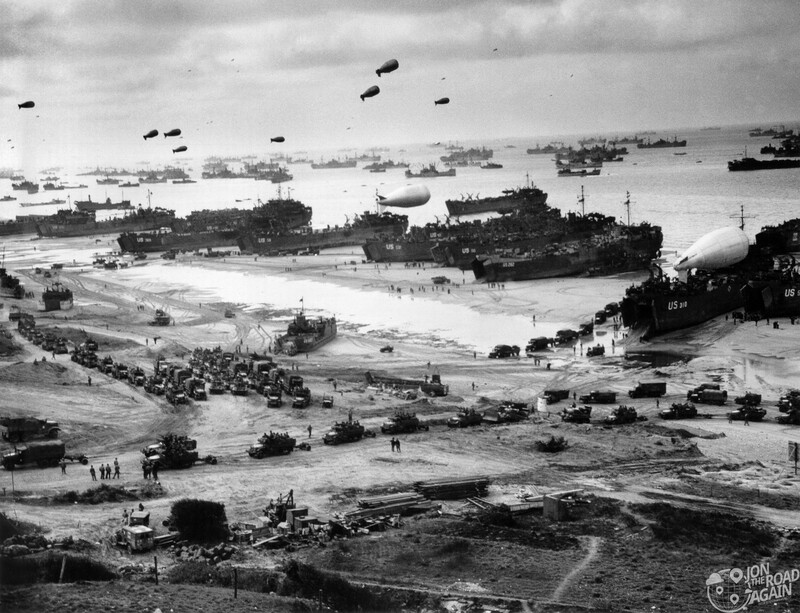 Without a successful D-Day, what might our world look like today? A look near the Vierville Draw – notice the steepness of the terrain. 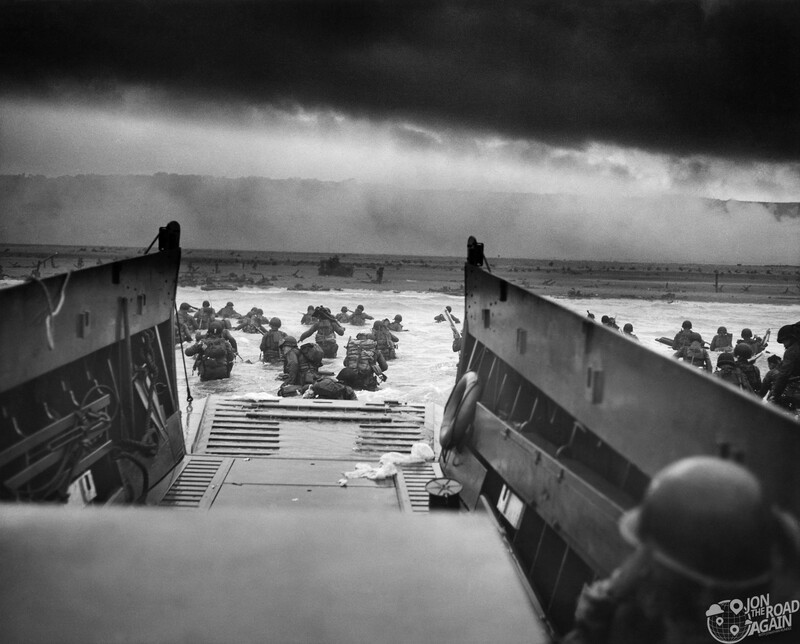 Once you made it through the beach alive, it was time to climb the hill, take out the gun nests, and get the tanks deeper into France. 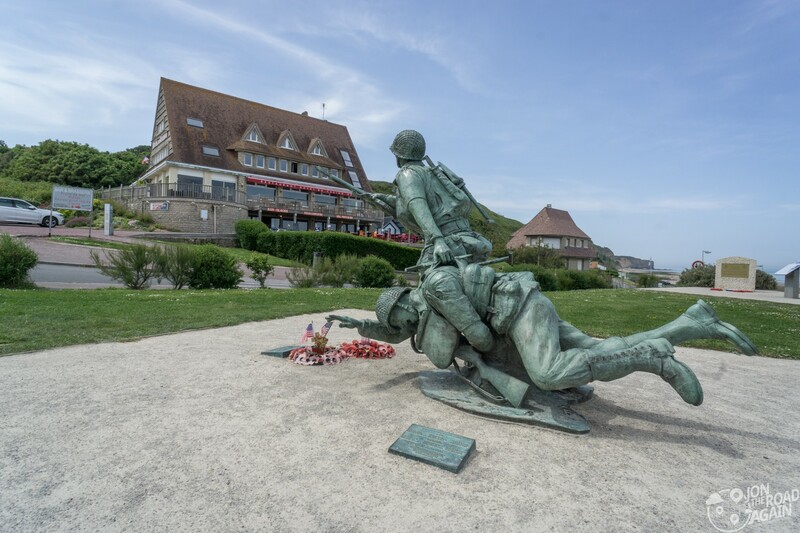 My favorite monument is the one located at Saint-Laurent sur Mer on the junction of dog red and easy green sector. It simply marks the occurrence in English and French on the front side before gradually sloping back to the ground on the back side. 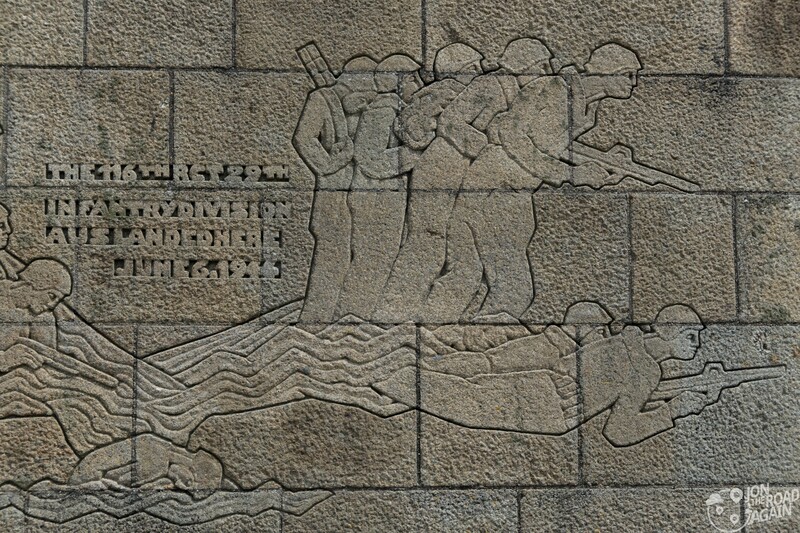 The other two sides commemorate the soldiers who landed at this location and fought to liberate France. 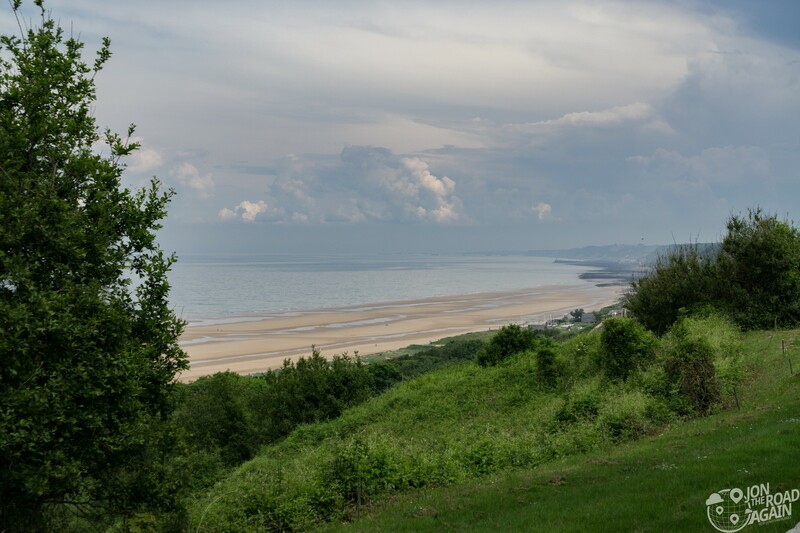 Deadly Omaha Beach is visible from the Normandy American Cemetery located on the bluffs nearby. 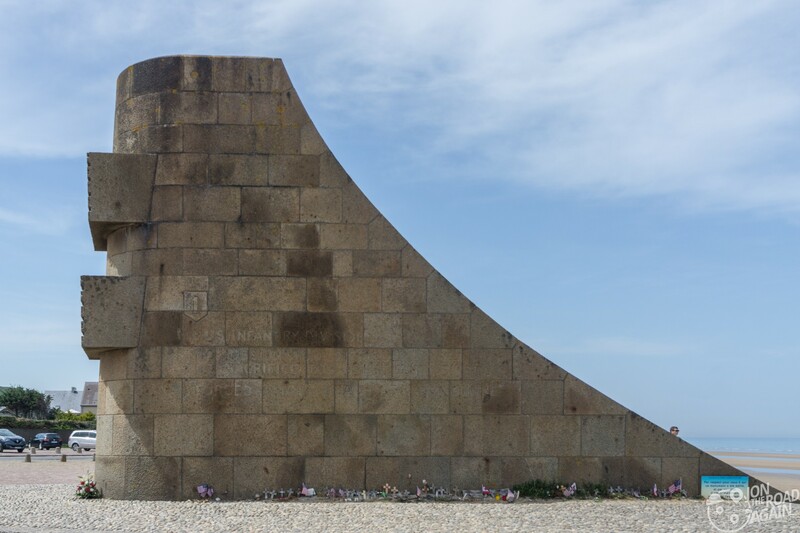 These 9,387 soldiers interred here gave everything they had on those beaches and in the rest of Europe. No admission fee, no closing time. You’re visiting a beach. You’ll want to get there when the tide is low enough to let you walk on the sand. Check the tide tables for the day. Thanks for the extra historic details of the invasion, Great that you and Whitney experienced this.